The official blog of SciDev.Net, the Science and Development Network, providing news and analysis from events relating to science, tech and development. Planet Under Pressure is over. We’ve heard from eminent sociologist Antony Giddens about the ineffective, virtual world of conferences; we’ve heard from technology policy specialist Nigel Cameron about the scientific bubble that has no purchase on the real world. Did PuP, as we came to call it, have ‘cling’ power? Did the plane fares, the carbon offset fees, the daily lives left in suspension, the mammoth, expensive, conference apparatus, merit the effort — or could it all have been better directed, as one senior delegate argued , towards actually tackling environmental problems? Some over-used words at the meeting no longer have ‘cling power’ with me. I apologise for this but words like ‘engagement’, ‘governance’, ‘value-change’ and ‘empowerment’ slide off my tired consciousness leaving nothing behind. But, because of this, one of the delights of this conference was the way in which social scientists offered routes away from these increasingly empty terms. Their presentations helped explain why scientists are modern-day Cassandras – accurately prophesying doom (and, in their case, repeatedly prescribing engagement, governance and empowerment) — but destined never to be heeded. Values don’t just change to order: scientists have to be a bit more sophisticated than that. This was made compellingly clear by sociologist Kari Marie Norgard. She presented a mind-boggling (to a humble science reporter) analysis of personal, cultural and social attitudes to climate change based on the nested theory of sociologist Pierre Bourdieu. She convincingly demonstrated that the climate change message is so damaging to our perceptions of ourselves, on all three levels, that it is no wonder we ignore it. From Richard Wilkinson there was the insight that some values do alter with the changing level of equality in society. From governance expert Oran Young, we saw that common crises (World War II, the Great Depression) can drive bickering nations into new ways of governing themselves at a global level. This linked with a call from panellist Pamela Collins for a ‘global patriotism’ – a kind of wartime footing that would bring out the collective best in us and see us acting for the global good. And the insight from several sub-captains of industry (including oil company Shell and UK waste company Viridor) seemed to be: don’t bother with complex, value-changing engagement strategies – slap the right tax on us and we will innovate our way in a new, greener direction. I wonder if the social scientists picked up similarly illuminating titbits from the natural sciences. Surely this meeting has been a success in fostering links between them (in addition, of course, to Future Earth – the vast, tangible conference outcome). When I asked a number of senior organisers, before the meeting, how I would know if it had been a success or not, they all told me that its uniqueness (which lay mostly in its interdisciplinarity) meant it was already a success, simply by existing. More formal negative and positive analyses will emerge over the next months (and see our final news story here). But for me, at least, it did shed light on why scientists’ exhortations fail and what might begin to solve the problem. This blog post is part of our Planet Under Pressure 2012 coverage — which takes place 26–29 March 2012. To read news and analysis from the conference please visit our website. Basically, the idea is to keep the level of engagement reached for this conference aiming to sensitize the negotiators of Rio+20. 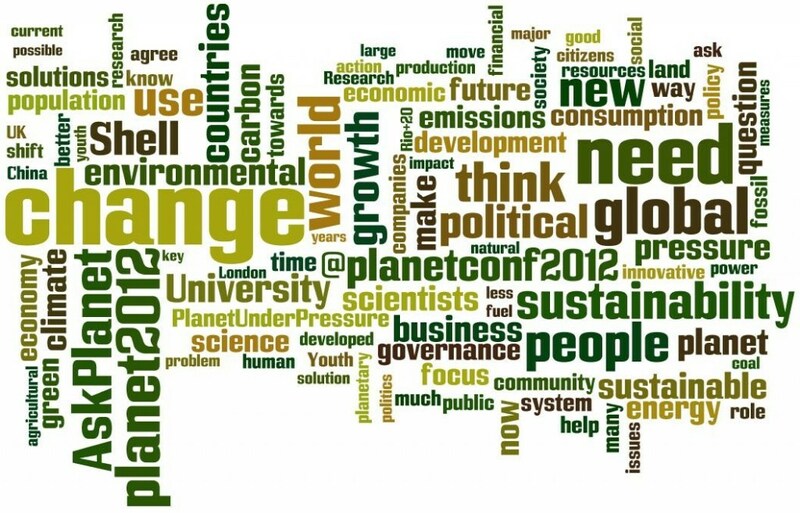 Next month, for example, a side event will be hold in New York, during the round for discussing the Rio+20 document. In June, a five-day Forum on Science, Technology and Innovation for Sustainable Development will be held prior to the Rio+20, organised by the International Council for Science (ICSU), UNESCO, the World Federation of Engineering Organizations, the International Social Science Council, the Brazilian Ministry of Science, Technology and Innovation and the Brazilian Academy of Sciences. Both meetings aim to join different stakeholders and keep sensitizing the negotiators of Rio+20. But… how much the scientific community is in fact being heard during the negotiations? 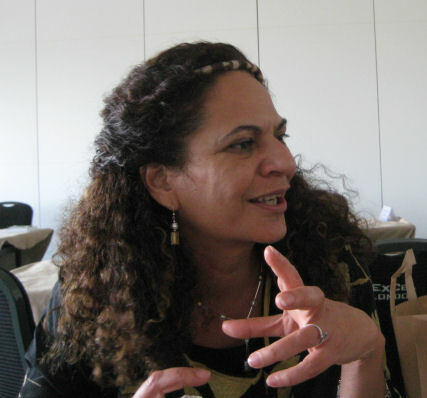 According to Lidia, the hopes are high – same feeling expressed by Alice Abreu, ICSU Regional Coordinator for Rio+20 as a chat we had in Brazil a couple of weeks ago. Both of them believe that the scientific community movements are being able to influence already the negotiations, as – they say – expressed in parts of the draft document. “I think we will make the difference, but we still have a long way to go”, said Lidia. “We are learning how to work differently, much more collaborative, in an inter and multidisciplinary way and we need to be prepared to answer the new scientific questions that are to be presented”, she believes. The one group conspicuous by their absence in the Planet Under Pressure conference is the local communities who, one would presume, have the highest stakes in all the developments and debate on climate change. The reason is obvious: no one invites indigenous communities to conferences straddled by international and national policy experts and scientists. But it turns out that local communities are finding their own ways of coping with increasingly erratic weather changes, without the top-down ‘expert’ inputs, so thank you. And some experts suggest scientists could learn a thing or two from them. Tirso Gonzales, professor at the department of indigenous studies in the University of British Columbia, described today (Wednesday) how for local communities who have been living in the Peruvian Andes for 8000 years, climate change is not a new phenomenon. They have the local knowledge to deal with erratic weather patterns, but neither scientists nor policy experts care to talk to them. A session on ‘resilient communities: local pathways to meet the energy, climate and resource depletion challenges’ on Tuesday heard several case studies about how local farming communities in Nigeria, Senegal and India are devising their own methods of coping with the impacts of changing weather, even as their governments grapple with policy announcements and implementation. Ranjay Singh, scientist at the Central Soil Salinity Research Institute, Karnal in northern India, cited several examples of local communities devising their own solutions, from cross-breeding yaks to domestication of wild species with drought or flood tolerance, to intercropping to adapt to the changes they see around them. “Most of the community knowledge led initiatives are based on incremental learning and natural adaptive capacity,” Singh says. What’s missing is the will and interest of natural and social scientists to include this informal traditional knowledge into their research strategies, share experiences and knowledge, says Gonzales. The day, for now, has not yet dawned. What could a sustainable development council look like? The idea of a Sustainable Development Council, a new body within the UN system that would have the power to make decisions on environment and sustainable development globally, started getting some flesh on it. The Planet Under Pressure conference this week (26–29 March) heard from Norichika Kanie, a researcher from Tokyo Institute of Technology who presented findings from ‘World Cafes’ – focused discussion groups – known as Hakone Vision on Governance for Sustainability in the 21st Century. The participants agreed that the current issues and political dynamics were different now to 1945 when the UN was founded, and that governance will require “transformative reforms with clear vision”. Rio+20 conference offers an opportunity to start this process, they said. The key conclusions were that aspirations need to be clearly defined; actors need to be broadened for “accountable participation and solutions from people for people”, and the institutional architecture needs re-building. Any new institutions will need to be properly funded and have authority and capacity to address compliance and implementation of their decisions, but also be accountable, transparent and adaptable to fast-changing global circumstances. The process also identified the Sustainable Development Council as one of the most noteworthy proposals for restructuring governance. But the idea needs further research and deliberations that should be set in motion at Rio+20, Kanie said. Its mandate and charter could be similar to that of the WHO, so it can govern over environmental crises, too. Its membership should include primary states which have a capacity to contribute through various forms of capital (e.g. natural of financial), rotating member-states which are most affected by the issues on the table, and non-state actors. This could help form a more inclusive governance, both in terms of including developing countries and non-state actors, Kanie believes. Kanie told SciDev.Net that he hoped there will be more involvement from developing countries, especially in Asia, at a follow-up conference in Japan in January 2013: Earth System Governance Tokyo Conference: Complex Architectures, Multiple Agents. There is a need for more assessment of socioeconomic impacts of new and emerging technologies, and for novel, more participatory ways of doing this, Planet Under Pressure Conference heard this week (26-29 March). While the zero draft of the outcome document for the upcoming UN Conference for Sustainable Development (Rio+20) talks about the need for technology transfer and capacity building — it fails to mention the equally valuable need for impact assessment of those technologies before they are released, said Kathy Jo Wetter, a researcher at the Action Group on Erosion, Technology and Concentration (ETC), a nongovernmental organisation based in Canada. She presented ETC’s proposal for a new UN convention on evaluation of new technologies. But while the participants supported the need for more technology assessment and community involvement in this process, the general mood was that this may not be best done through another UN treaty. Adrian Ely, researcher at the STEPS centre at the University of Sussex, in the United Kingdom, said there was a need to draw more on the knowledge of technology users around the world, not just the scientific community. Current technology assessments fail to examine long-term impact of technology policies and investments, especially in the developing world, but there are new ways of assessing technologies that are emerging, he added. Paul Oldham, a researcher at Lancaster University, United Kingdom, presented findings from his group’s upcoming paper in PLoS One, which used visual tools to map synthetic biology research. He suggested that this emerging field may be best governed by working specifically with the key research groups and funders identified in his paper. Interestingly, his paper shows there is some synthetic biology research and patenting in developing countries, such as Brazil, China, Chile, India and South Africa. But when he analysed who uses this research — which is still predominantly done by a small number of groups in developed countries — China and Africa became much more prominent. Chinese researchers are using synthetic biology findings in health research, whereas, in Nigeria, for example they used them to study biopiracy. Least developed countries may not be getting the best deal at the UN climate change negotiations, Planet Under Pressure conference heard this week (26–29 March). Heike Schroeder, senior lecturer at the University of East Anglia, United Kingdom, presented new, still unpublished, findings analysing the past 15 years of national delegations at UNFCCC (UN Framework Convention on Climate Change) negotiations. Schroeder and Maxwell Boykoff, a researcher at the University of Colorado, United States, found delegations “have grown significantly in size and diversified in composition”, which followed the shift and expansion of content and complexity of negotiations. But while the delegations of developed G8 countries, and emerging G5 countries (Brazil, China, India, Mexico, South Africa) grew significantly, those of the least developed countries (e.g. Gabon, Guyana) did not follow. This means there was a capacity gap between the poor and rich — as well as between large and small countries. Having smaller delegations means that least developed countries do not get to partake in all sessions and are also less likely to have expert representation in their delegations. The way forward, Schroeder said, was to cap the delegation size, introduce a code of delegations for all countries within the UNFCCC that would include representation of NGOs, indigenous people and other stakeholders. And finally, linking activities between formal and informal negotiations to open them up and allow delegates to represent both their countries and their stakeholder groups. 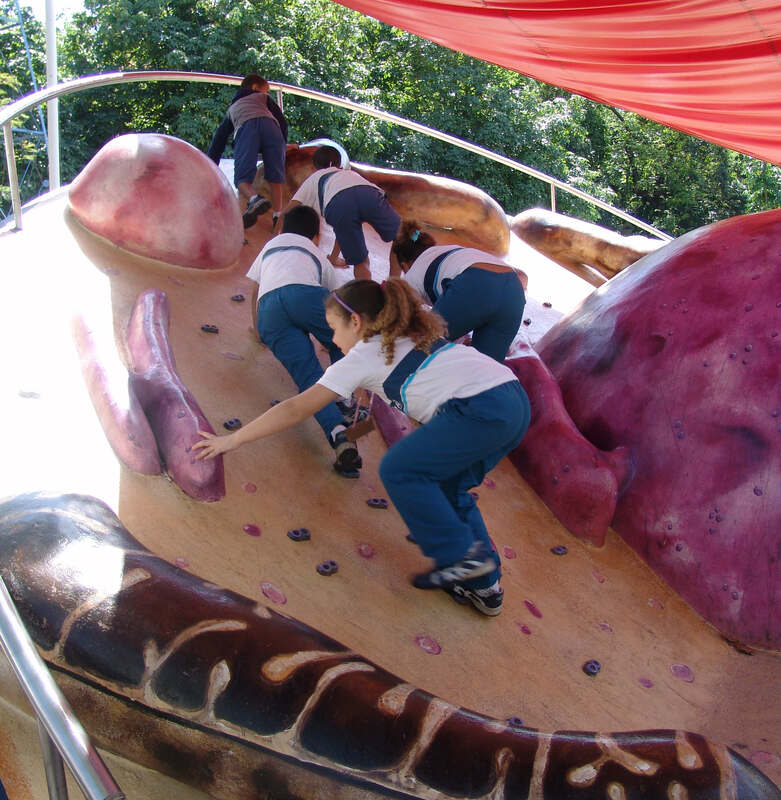 Let’s channel the energy of science centres! As someone who works in a science centre, I found it very exciting to see that the Planet Under Pressure conference allocated plenary space to a talk highlighting the need to engage the public as part of the strategic plan for a better world. The talk was actually on the key role of science centres and museums in engaging the public, and it was given by Margit Fischer, First Lady of Austria and chairwoman of the Austrian ScienceCenter-Network. Museu da Vida, the museum I work in. This is part of an effort of hundreds of worldwide science centres, members of the Association of Science-Technology Centers (ASTC). According to ASTC, the common goal is to strengthen the position of science centres as active and successful players in the Rio+20 process and beyond. “We all hope for a powerful plan of action, but even the most ambitious programme will need to be complemented by effective public engagement; in order to achieve this, we propose that science centres and museums be created, developed and supported worldwide as vital resources – particularly in areas where they are currently missing, such as in much of Africa,” she said. “We call for a strategic plan that channels the energy of science centres and museums to advance a UN outreach strategy”. You are currently browsing the archives for the Planet Under Pressure 2012 category. This blog is published by SciDev.Net, a free on-line source of news and information about the role of science and technology in meeting the needs of developing countries. Are the crop world's "big three" stealing the show?